The book aims at offering an overview of the current human rights practice, indicating some main specific features able to provide a meaningful explanation of the complex phenomenon. 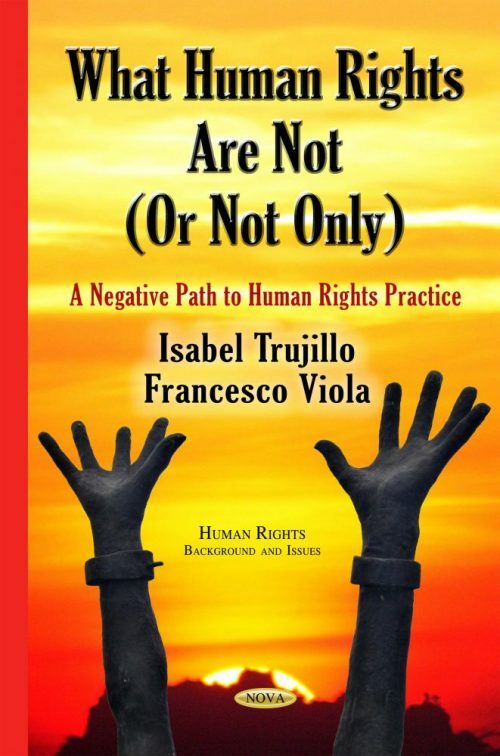 It attempts to highlight its moral, social and legal dimensions, its theoretical and institutional origin, but also the specificity of the current phase of the protection of rights, and its uses in the domestic and international domain. It aims at showing the connection between the idea of law as a social practice and the practice of human rights, the former working as explanatory framework, the latter characterized by specific features. The original point is the negative method of defining the subject: “negative” because the idea of human rights as a social practice is not compatible with a rigid classificatory semantic. From the theoretical perspective, human rights as implemented today are only partially in a continuum with the revolutionary proclamations (French and American). The Holocaust introduces a new approach: they are not vindications of “our” rights, but of the rights of others, those who are at risk or whose rights are being violated. This simple idea explains many aspects of the current human rights practice: the necessity of identifying the duty holders, the way of understanding the international community and the role of rights in it, the forms of protection and promotion, the dynamic against discriminations. And it allows explaining also some possible misunderstandings, like the idea that human rights are natural rights, or tricks for humanitarian intervention, or cultural biased. Human rights’ key notes are normativity, universality and globality. The notion of dignity and the need of specification of rights in the concrete conditions of individuals exclude minimalist accounts of rights, and the idea that some rights are less urgent or important than others. Human rights as a practice are compatible with a high number of theoretical perspectives and with different political doctrines, even though they have a cultural origin. They are not compatible with hegemonic dominations and with war. They are criteria of legitimacy and justice, but they are not the solution for everything.